Love traveling, and watersports ? Don't forget to bring your snorkeling gear to your next vacation ! My trip to Mexico was the second time I regretted not bringing my own snorkel gear with me. My fins are old, heavy, all-rubber ones, not really comfortable for tropical diving/snorkeling ( since tropical divers do not always need wetsuit booties, many use long, full-foot light pocket fins while diving in tropical water ). Also, I wanted to travel light, and knew that most dive schools provided all the gear for their trips. But even if you're not a diver, in places like Mexico ( Hawaii or Florida's Keys ) there are many great places where you can go snorkeling. Of course, you can always rent a snorkeling set ( mask, snorkel and fins ), or even buy a brand new one at a local WallMart. But having you own snorkel gear means you’ll have one less thing to do when you get to your destination. In other words, you’ll be at the beach sooner instead of searching for the rental shop. I think that if you're a frequent visitor/lover of sunny tropical places ( and love snorkeling/diving/swimming ), investing in a quality snorkel gear set is a must. As I've mentioned above, full-foot pocket fins are lighter, and sometimes the whole snorkel set will weight about 4 lbs. A set usually comes in a convenient carrying and storage bag, that will easily fit in any suit case. Also, before I heard people recommend bringing your own snorkel gear because of the hygiene aspect ( Mexico doesn't have the same health & safety rules that you're likely used to at home ). I don't know about you, but for me, there is just something about having your own snorkel in your mouth :) When it comes to masks, aside from the hygiene thing, pink eye can be very nasty. And finally, the price of the snorkeling set is ( almost ) the same as the price of one (!) "snorkeling tour". So, buying and bringing your own gear will pay off even during a short tropical vacation !! So, what is the best snorkeling gear out there ? Should you buy your snorkeling gear from Amazon, Walmart, Costco, or eBay ? Personally, I always recommend to buy your outdoor gear from Amazon. 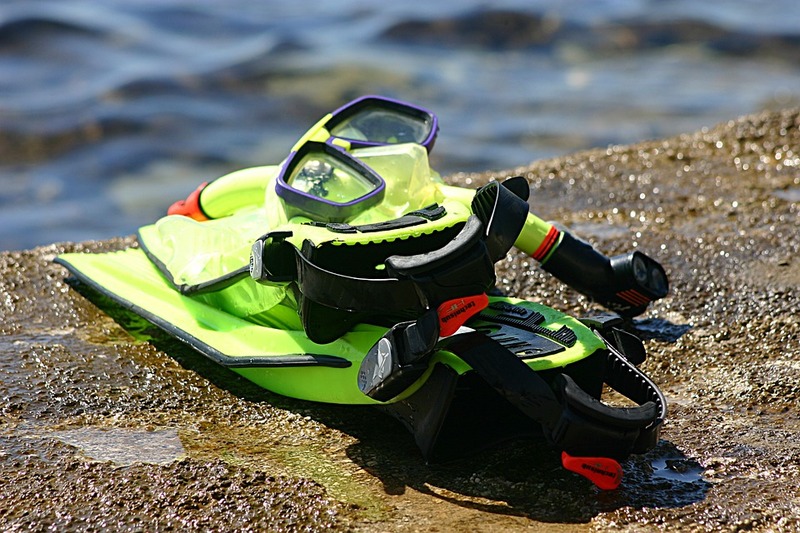 Not only will you have a larger selection of choices, prices, brands, and read the snorkel gear reviews before you buy, but, the most important, after your purchase, and use, you can recommend that gear to your friends, family, and anybody else looking to buy their own snorkeling gear, and MAKE MONEY ! 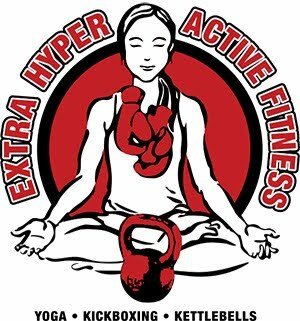 Looking for a way to support your healthy, and adventurous lifestyle ? 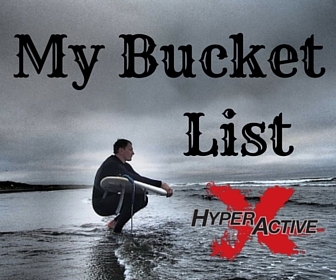 Learn how you can make money online promoting fitness, travel, and outdoor gear ! Florida diving offers something for everyone, from the newbie to the most experienced divers, from coral reef diving to fresh water, wrecks, caverns, 4000 lb statue of Christ of the Abyss to ... diving at the The Florida Aquarium. I came across this incredible adventure while looking for guided scuba diving trips around Tampa. 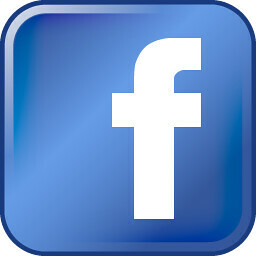 The Florida Aquarium in Tampa Bay offers two great diving adventures - Swim with the Fishes and ...Dive with the Sharks ! Diving with the great white sharks near the Neptune islands of southern Australia has been on my Bucket List since I first got my PADI Open Water certificate. But diving with sharks at The Florida Aquarium was no less thrilling. 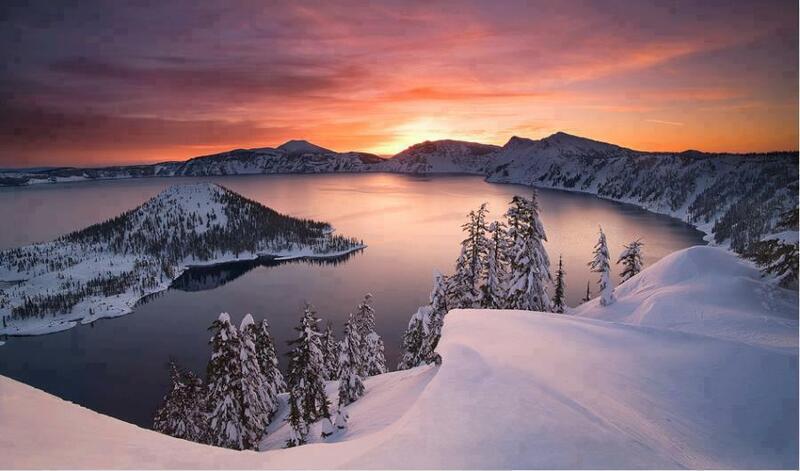 I've been really looking forward to visiting Crater Lake National Park in Oregon for the past 5 years ! I wanted to see it both : covered under the blanket of snow, and on a nice sunny summer day. 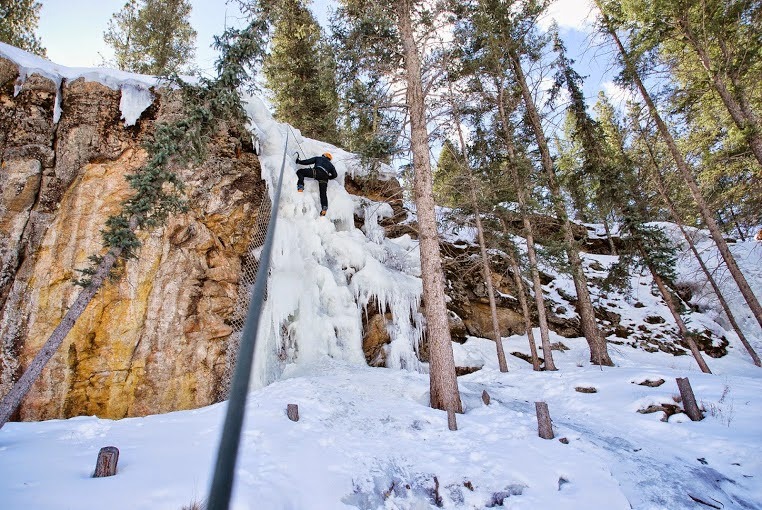 Ice climbing is a very challenging, both physically and emotionally, and engaging sport. At the same time, ice climbing is a thrilling adventure, and a great way to spend a winter day in a beautiful surrounding. It's no wonder that our neighbor - Oregon- is one of the best states in the US for outdoor adventure. When it comes to outdoor activities and adventures, there is always something to do for everybody all year round. 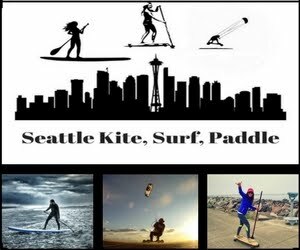 Surfing, kite-boarding, skiing/snowboarding, hiking, biking, rock climbing; you name it and you can find it somewhere in or close to Portland, Oregon. Recently we went on a 5 day road trip around Central Oregon, and our first stop was in downtown Portland. Portland has earned the reputation of the most bike-friendly in the U.S., with more than 171 miles (275 kilometers) of bike lanes (and more soon on the way) and a 40-mile (64-kilometer) loop trail system (www.40mileloop.org). It's also home of the beautiful Forest Park, the biggest urban forested area in the country; the 5,100 wooded acres (2,064 wooded hectares) have more than 70 miles (113 kilometers) of hiking trails, including an epic 30-mile (48-kilometer) loop called the Wildwood Trail. 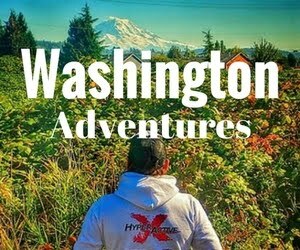 Unfortunately, we only had just a few hours in Portland, and before the trip, I had to find something fun, adventurous, and outdoorsy to do in downtown Portland for my 8 year old and I. Lucky for me, it wasn't hard ! 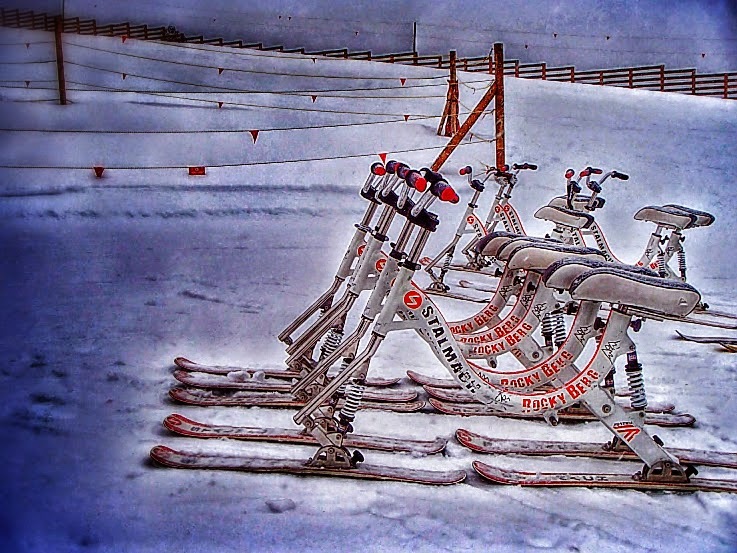 I came across ski-biking ( snowbiking ) a few years ago while researching about another new winter activity - airboarding. 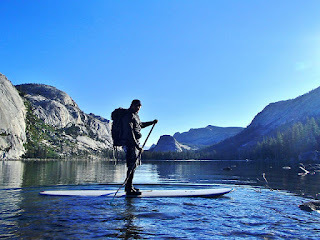 Though both of these activities could be experienced in our neighboring Oregon at Hoodoo ski area, for the past 2-3 years, I simply couldn't find time to make a trip down there. And honestly, to me, ski-biking seemed a bit like kids snow scooting. I thought it would be fun to try, but didn't think it was worth driving for 5 hours. 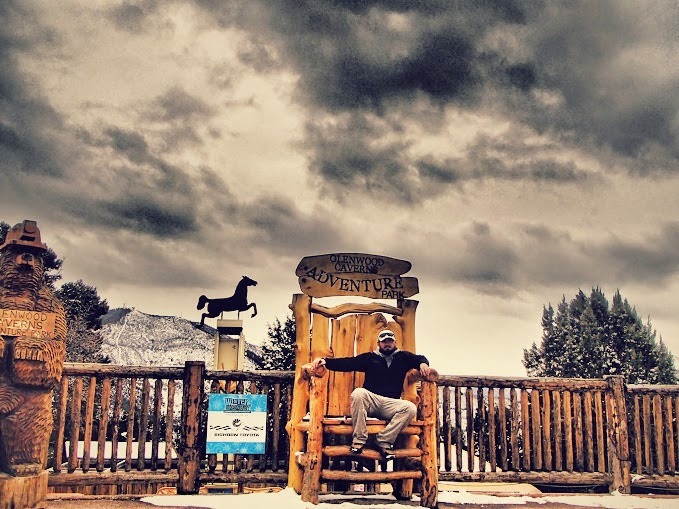 But during my trip to Colorado I had a chance to jump on this great opportunity, and combine skiing at one of the epic ski resorts in US with trying out a new adventure. Do you know how many official and unofficial "national days'', festivals and holidays we have ? 365 ! National Dress Up Your Pet Day , Public Sleeping Day, Be Nasty Day, Blame Somebody Else Day...( here is the full list ). Don't believe it's true ? Just Google one of those days. But the craziest, most exciting, adrenaline -filled day/celebration would be Bridge Day in West Virginia. 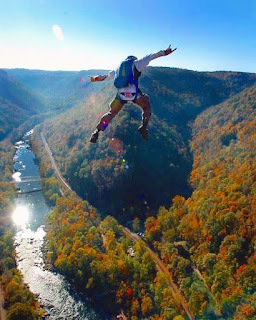 Bridge Day is an annual one-day festival in Fayetteville, West Virginia held on the 3rd Saturday of October that commemorates the 1977 completion of the New River Gorge Bridge. But it's not just that. Bridge Day is one of the world's largest extreme sports festivals that celebrates the outdoors with a show you've got to experience to believe. Check out these "7 Amazing Grand Canyon Facts", and may be this will motivate you to visit one of the great World Wonders ! 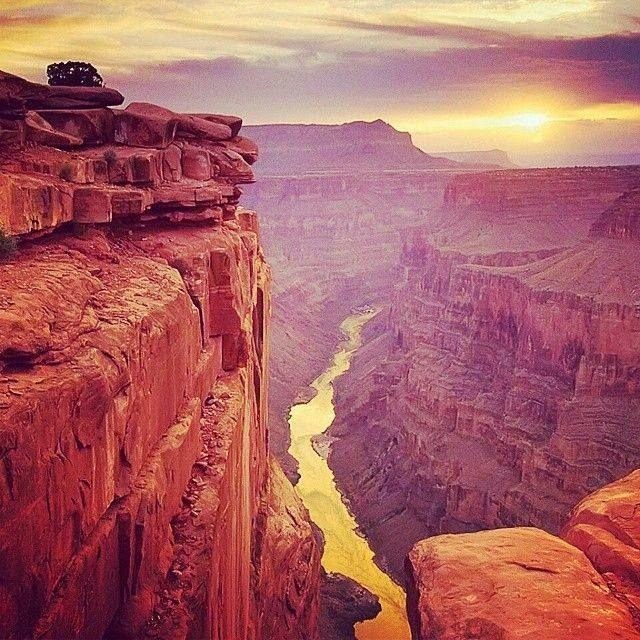 Fact #1 - At its narrowest, at Marble Canyon, the Grand Canyon is only 600 yards (548 meters) across. At its widest, the gorge spans 18 miles (29 kilometers). The American Southwest contains more than its fair share of natural wonders: Grand Canyon, Arches National Park, and Carlsbad Caverns National Park are only three of the most famous natural attractions that draw people from all over the world. The region is home to a wonderful and vibrant mix of Anglo, Latino, Hispanic, and American Indian traditions making it one of the more diverse and interesting corners of America with regards to history, landscape and culture. During my trip to Colorado, I was looking forward to seeing such famous landmarks as the Great Sand Dunes and Rocky Mountain National Parks, Mesa Verde, Dinosaur National Monument, and of course, taking an iconic photo at The Four Corners ! I was especially fascinated to learn more about the rich history of Native Americans in this area. Originally, I was planning to visit the famous Mesa Verde National Park, but due to weather conditions, and time travel from Denver ( about 7 hours ), I decided to leave it for my next visit. Luckily, while visiting Colorado Springs, I heard about the no-less famous Manitou Cliff Dwellings. And I believe was a great substitute for Mesa Verde NP. Southwest is a beautiful place for an adventure traveler to explore ! It is one of the most geographically diverse regions in the United States that contains more than its fair share of natural wonders: Grand Canyon, Arches National Park, and Monument Valley are just a few of the most famous natural attractions that draw people from all over the world. But if you travel around Southwest for long enough, you'll see a lot of similarities : same red rocks, adobe structures, bluffs and mesas, deserts, and flatlands. At least that's what I saw during my visit to Garden of the Gods near Colorado Springs. 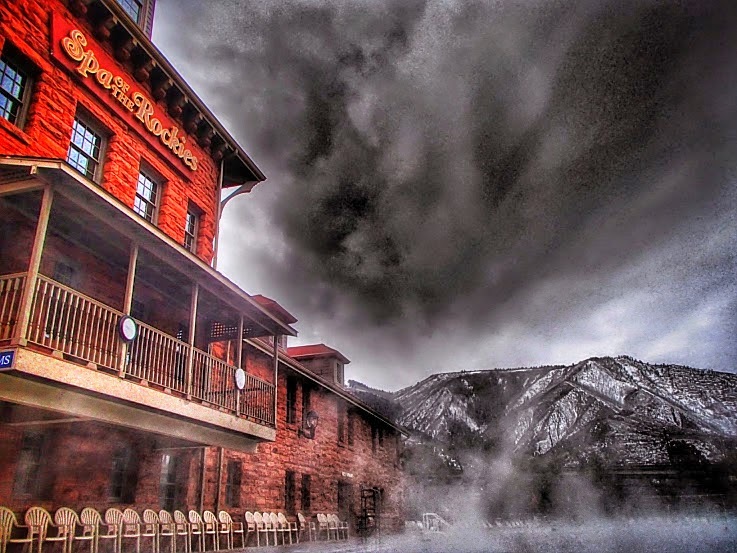 Named as "The Most Fun Town in America", Glenwood Springs is a great little adventure town that sits right between two most famous ski resorts in USA -Vail and Aspen. Made famous by it's largest hot springs pool in the world, this little adventure hub offers a lot more than just relaxing in it's hot mineral waters. For over a century, visitors from around the globe have added Glenwood Springs to their travel itineraries. And there is a reason for that ! Home to more 14ers than any other state in US, Colorado boasts some of the most amazing hiking, climbing and backpacking trips in the country. 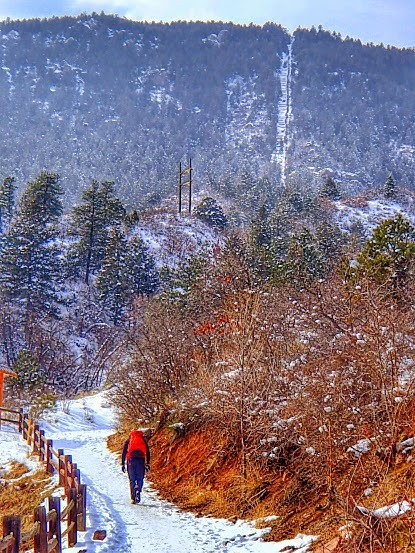 But during my extensive travels, I haven't done a hike as unique, challenging, and beautiful as the Manitou Incline in Manitou Springs, CO. The once railroad track now consists of approximately 2,744 steps made entirely of railroad ties! Although it’s only one mile in length, the ascension averages a 41% incline (68% at its highest) and a 2,000 foot climb in elevation! That’s a lot of stairs! That’s even more than the Empire State Building! Needless to say, this hike isn't for the faint of heart, or heights. The Manitou Incline is considered one of the highest sets of stairs in the world! This trail is rated Extreme. It's nothing less than a staircase up a mountain. They say you haven't experienced Colorado if you haven't climbed a 14er. My original plan was to take the famous Cog Train to the top of one of the most beautiful 14er in Colorado - Pikes Peak. 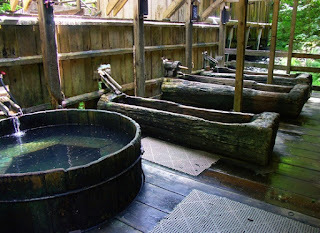 When it comes to travel, whether you like roughing it up, or pampering yourself, there is nothing that makes you feel better, physically, mentally, or emotionally, than a long soak in hot mineral spring. Your aches and pains fade away along with your stress and cares. Your skin and hair look radiant and vibrant. Your spirit becomes more vital. Visiting Colorado state has been on my Bucket List for a long time. For years, tourists have been enticed to Colorado for the mountains, which offer opportunities for recreation, scenery, and a climate conductive to good health. For many outdoorsmen like myself, Colorado has long been associated with great powder skiing and riding. But for me, Colorado has become more than just ski resorts and the great outdoors. 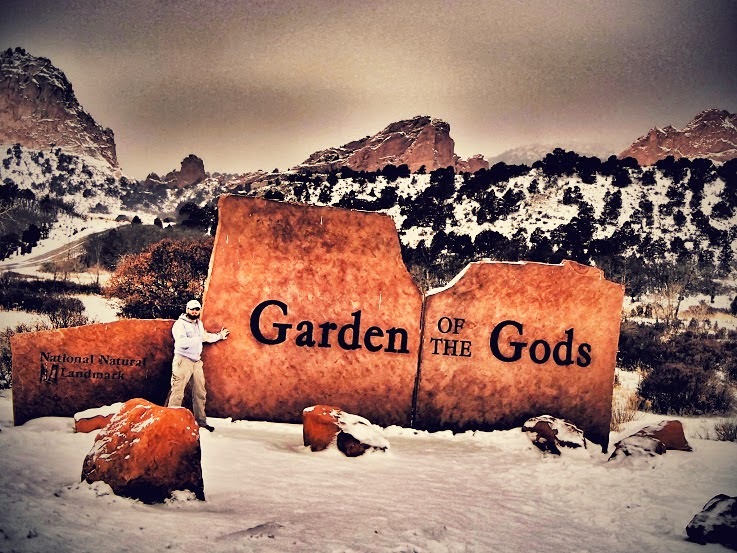 The great outdoors, culture and nature of Colorado go hand in hand. You can also find Colorado in ancient cliff dwellings, historic railroads, ghost towns, museums and scenic byways. Just like for many tourists, my introduction to Colorado started with visiting its capitol - Denver. Most visitors only see it on their way to or from the legendary ski resorts in the Colorado Rocky Mountains – if they see it at all. It's too sad, because the "mile high city", as Denver is known, is the beautiful historic and cultural center of a wide area extending over the Great Plains and into the Rockies. But its touristy part is found in the heart of downtown - the main financial, commercial, and entertainment district. Have You Visited Yellowstone National Park ? 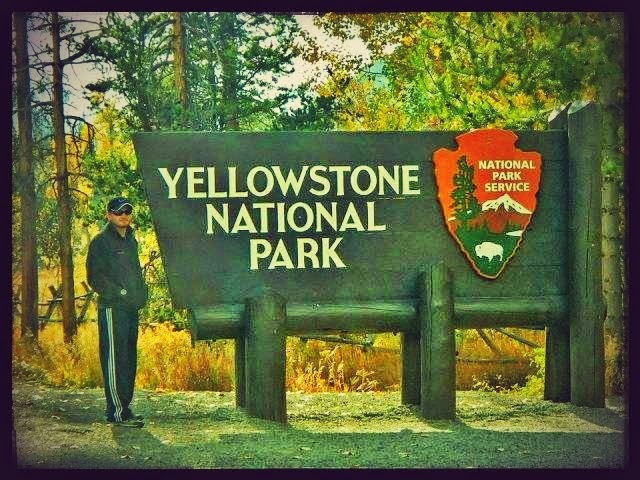 I had a great opportunity to visit Yellowstone NP during my road trip around US a couple years ago. Unfortunately, due to lack of time I didn't have a chance to explore this amazing park the way I wanted. I call Yellowstone NP " - "all American experience". And it's not only because it's one of the places in our country every American must see, it's also because it's very "convenient" to visit it. You can see/visit all major interest points/landmarks almost without leaving your car. Just drive to the next viewing point, get out of your car, walk a few steps, snap a few pictures, and you're done ! Only for me, it's not the way to explore a new place. 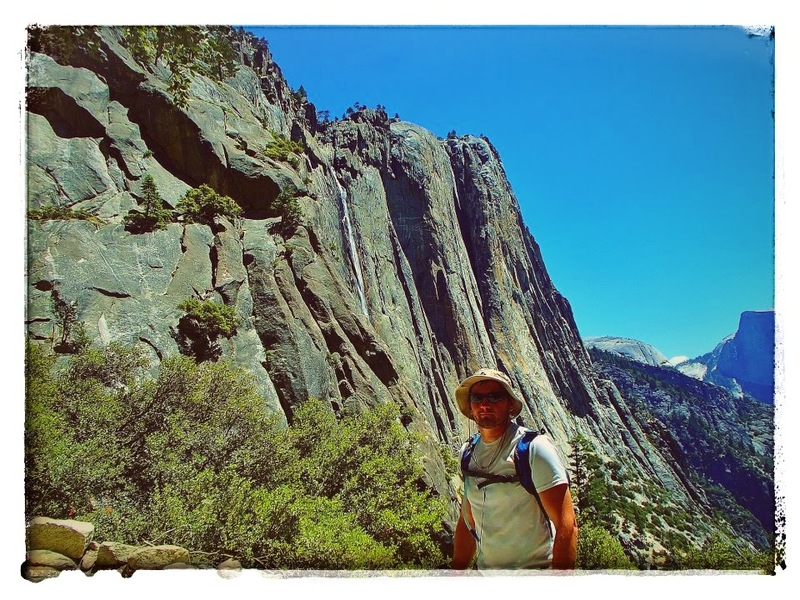 I want to immerse myself into the environment, and the best way to do it is through activities like hiking, backpacking, or camping. 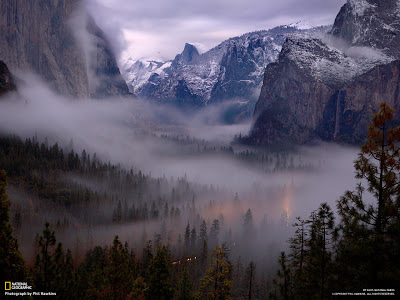 Next time, I plan to visit Yellowstone in winter ( everything looks better when covered with snow ), and to explore the park on skis or snowshoes. Driving along California's Pacific Coast Highway, and especially its most scenic part - Big Sur, has been on my Bucket List for a couple years ! An exhilarating driving experience, this twisting, cliff-hugging, 123-mile (198-kilometer) route along the central California coast takes about five hours to complete at a leisurely pace. 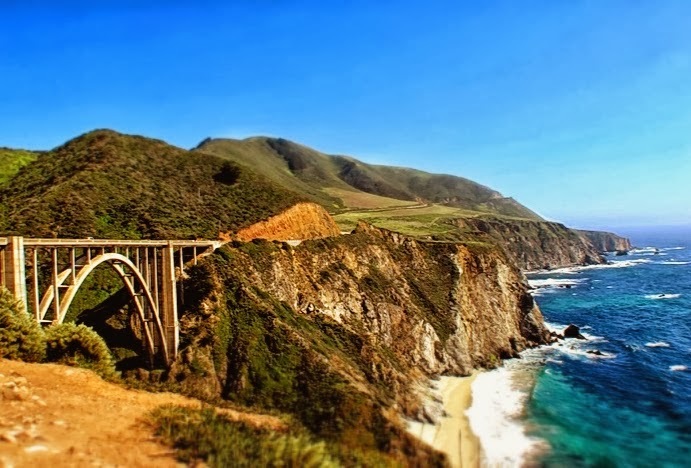 Designated an All-American Road—among the nation's most scenic—the drive encompasses both the Big Sur Coast Highway and the San Luis Obispo North Coast Byway. ( National Geographic ). Though I used to live in Southern California, have visited San Francisco and Sacramento, camped and hiked at Yosemite, visited Mt Shasta's Caverns, I've never been to Monterey/Carmel area before ( where Big Sur "officially begins" ). That's why I was especially excited when Toyota invited me to test drive their stylish and luxurious 2014 Toyota Highlander in that area ! Ideally, my road trip along Big Sur would be driving a red convertible Mustang 1966 ( and hitting every major surf break along the way ! ), but cruising in a brand new Toyota Highlander Hybrid and relaxing in upscale Carmel Valley Ranch, sounded like ( at least half of the ) dream come true. Following National Geographic's advice, I explored Monterey : visited Royal Presidio Chapel, Monterey State Historic Park, Custom House, Casa Soberanes, took a stroll along beautiful Fisherman's Wharf and Cannery Row, had gourmet dinner ( in the empty !!! ) Monterey Bay Aquarium surrounded by beautiful fish (!!! ), and learned about Monterey Canyon. Then I took the Highlander for a scenic drive along winding 17 mile drive, and stopped by the famous Mission San Carlos Borroméo del Río Carmelo. Agri-tourism ( a unique experience that combines traditional agriculture with tourism ) is growing in popularity in states like Washington, Oregon, California, as well as in the Midwest. I got a taste of it touring a couple local farms, learning about produce, and tasting unique treats ( deep fried artichokes ? with garlic sauce ? delicious ! ). Unfortunately with so much time spent in Monterey/Carmel, it didn't leave me enough time to go on a full size road trip along Big Sur. I reached the famous ( and much photographed ) Bixby Bridge, and decide to head back home. Over the past few years of travel, I've realized that there are places where I want to go back. With so many things not seen/done, I'm sure Big Sur will be one of them. That was my third time visiting Florida. 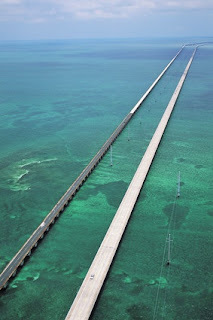 The first time I had a road trip of the lifetime, driving from Miami to Key West on the Florida Keys Overseas Highway. 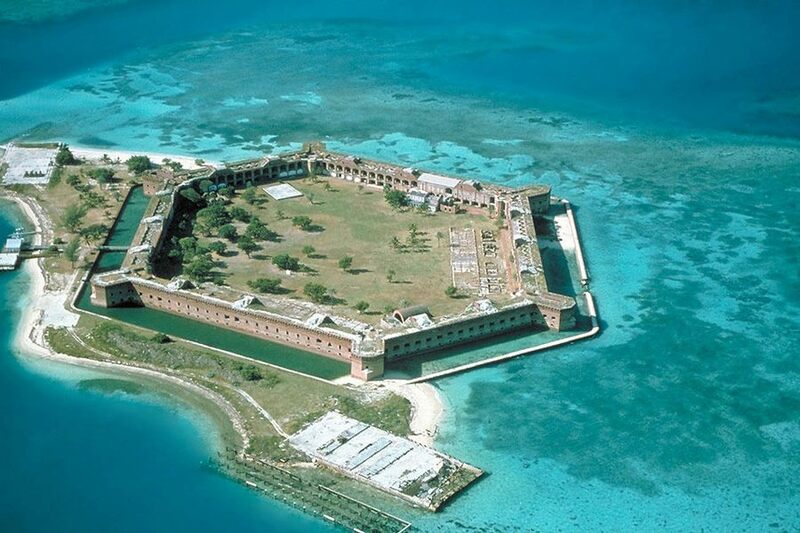 Though I spent a couple days in Key West, unfortunately I didn't have time to visit Dry Tortugas National Park which was on my Bucket List of places "to visit before I die" :). Located just 70 miles west of Key West, the park is a beautiful historical landmark and a wildlife refuge like no other. 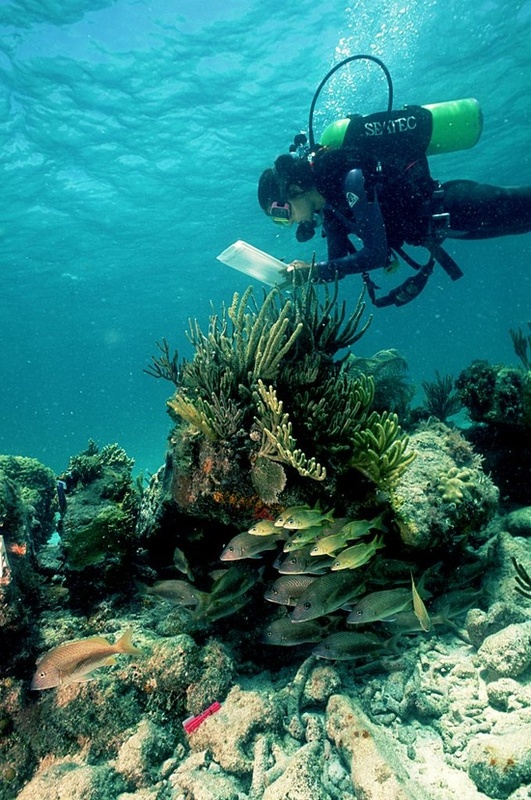 The Tortugas Islands also offer some of the best snorkeling and scuba diving in the entire United States with the coral reef just feet from the white sandy shores of the islands. 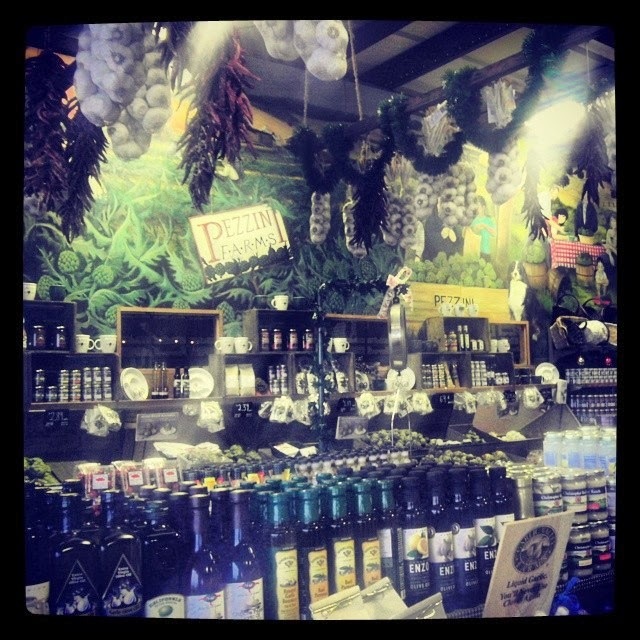 This is one of the few places I'm definitely coming back to ! Last summer I had an amazing opportunity to go on a road trip around Southwest. I had a privilege to visit Idaho, Utah, Arizona, Nevada, and California. One of the goals of that road trip was to visit as many National Parks as possible. Tip - If you're planning to visit multiple National Parks during your road trip, buy America the Beautiful National Parks Pass from REI.com ($80). It will save you money and time. Also, it was quite convenient for me. Driving from Nevada/Arizona side, HWY 120 took me right through the heart of the park ! Tip - If you decide to drive to/around the park, choose off-peak hours ( before 9am, and after 7pm ). One line HWY is notorious for its traffic jams and slow driving. Summer time is THE busiest! 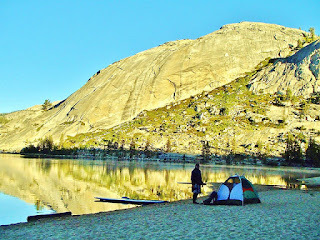 Quite often its hard to find an available camping spot. So, make your reservations ahead of time. Tip - If you're ExtraHyperActive/dirtbag like me, you can pitch your tent anywhere you want, and in the morning, will be rewarded with the most amazing views ! 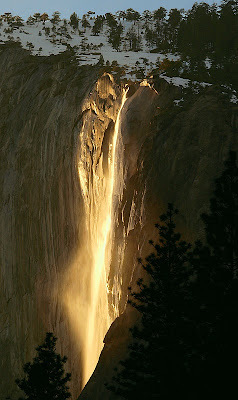 Yosemite National Park offers an abundance of activities and sightseeing destinations. Among the most popular are : rock climbing and hiking. Have you heard of solo climbing ? 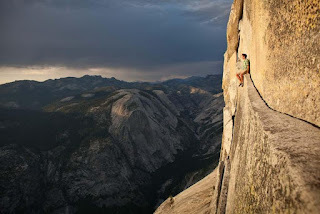 Solo climbing represents the ultimate extreme in rock-climbing. Solo climbing (or soloing) is a style of climbing in which the climber climbs alone, without somebody belaying him. What if he falls down, you ask ? He dies-- no two ways about it. Alex Honnold has made Yosemite popular by scaling the two most popular Yosemite big walls — Half Dome and El Capitan. Tip - I wouldn't recommend to sacrifice your life for a ( breath-taking, once in a life time ) shot like this, and would suggest to hire a guide. 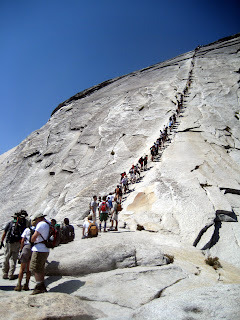 There is a popular wall just minutes away from Camp 4/ Yosemite Village. Yes, you can definitely opt for hiking Half Dome, but... can you really call it hiking ? 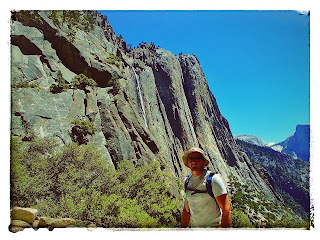 Tip - If you have limited time for just one hike, make it Upper Yosemite Falls/Eagle Peak ! Why ? 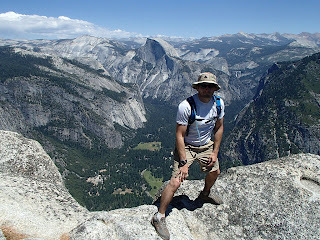 Fewer crowds, and stunning view of Yosemite valley, and Half Dome ! 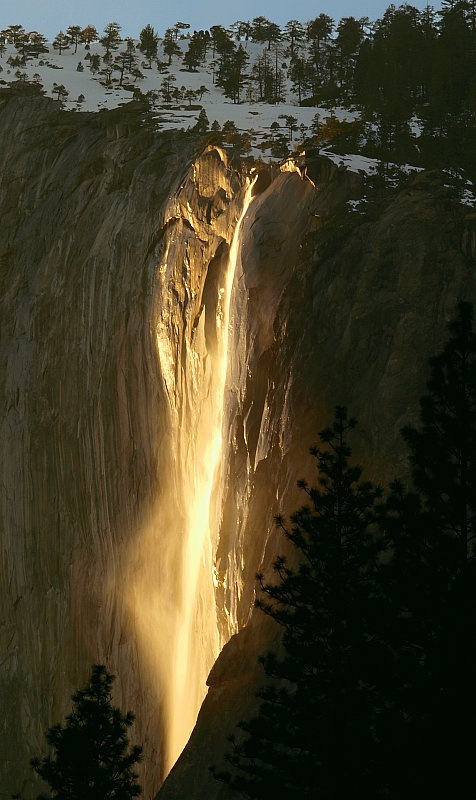 Fun fact : The setting sun illuminates one of the park’s lesser-known waterfalls so precisely that it resembles molten lava as it flows over the sheer granite face of the imposing El Capitan. A mid-February phenomenon! 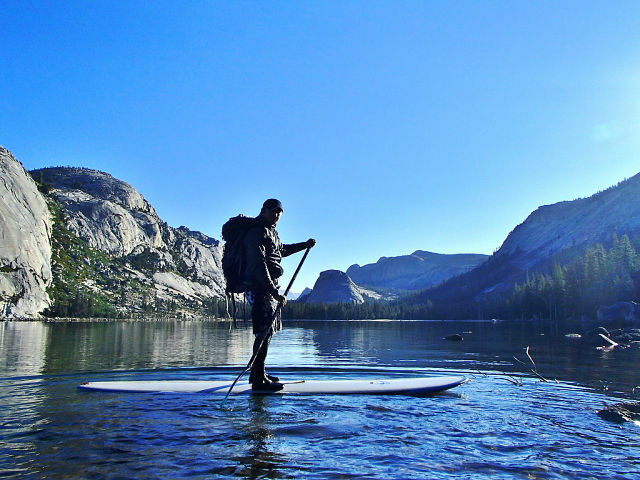 Looking for ways to support your adventurous lifestyle ? Become our Ambassador, and learn about online business, affiliate marketing, and branding to help companies in outdoor recreation industry spread the word about their products while getting paid ! If you are a recreational diver or just thinking about trying our scuba diving, I recommend adding "Scuba diving in Florida" to your Bucket List ! Minnow Cave is one of the best-known coral caves in the Florida Keys, and is home to many of the namesake species. The cave is part of the Northern Dry Rocks, which is a shallow reef with depths up to fifteen feet. The reef is smaller than the Key Largo Dry Rocks but offers everything except for the well-known Christ of the Deep statue. However, divers may prefer this site if they are not particularly interested in the statue and are looking for a less populated location. The filtered sunlight and shallow depth also makes this a great spot for snorkeling. Divers at this site will be amazed by the slick movements of the glass minnows that hover around the opening to the cave. 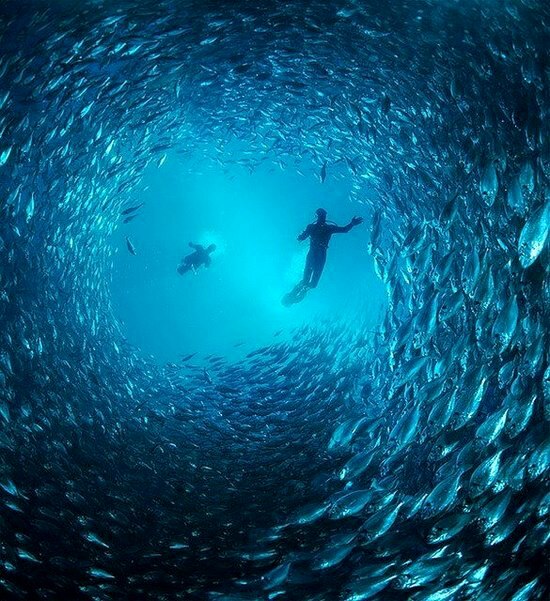 Groupers and great barracuda are also commonly seen here. Divers who choose to explore crevices will find Florida's spiny lobster hiding away. This is a great dive for those looking to avoid heavy traffic but still experience a beautiful location. The reef is marked off by three mooring buoys with the letter "N" inscribed upon them. This area contains a .05 square nautical mile Sanctuary Preservation Area (SPA) which is marked by yellow buoys. ...I hope to have a few days off in February, and since I'm broke ( after all that traveling ), was thinking about some local adventures ... May be Oregon ? 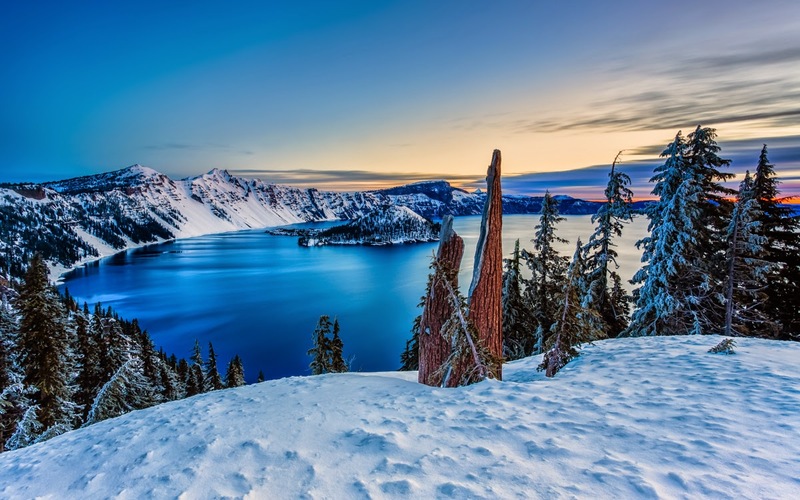 Been planning to visit Crater Lake National Park for a while ( and even put it on my Bucket List ! ). Heard it offers amazing XC skiing opportunities in winter ... Also, would love to take my SUP for a long paddle around the lake ! Among other things to do: I'd like to go skiing/riding at Mt Hood, ski-biking at Hoodoo Ski Area, and chillaxing at one of Oregon's famous hot springs !